New Products Group brings a fundamentally new innovative drink onto the market – an alcoholic energy drink Diablo™. The new drink, developed by the experts of New Products Group, is a fundamentally new alcoholic energy drink, which opens a new separate category of low-alcohol drinks. Instead of the addition of ethanol, it uses an innovative alcoholic base – a product of natural fermentation made from water, hops, barley-malt extract, syrup and yeast. This is essentially the same technology used in making beer, but the advantage of our company’s product is that after special multilevel filtration, it loses the beer-like flavour, smell and aftertaste. Diablo™ is a ready-to-drink cocktail for the young, bright and bold. This drink is a provocateur and a catalyst, a generator of insane ideas and actions for those who want to discover and reveal their “dark side” to others. In each of us live an angel and a devil. Each of us has a light and a dark side. 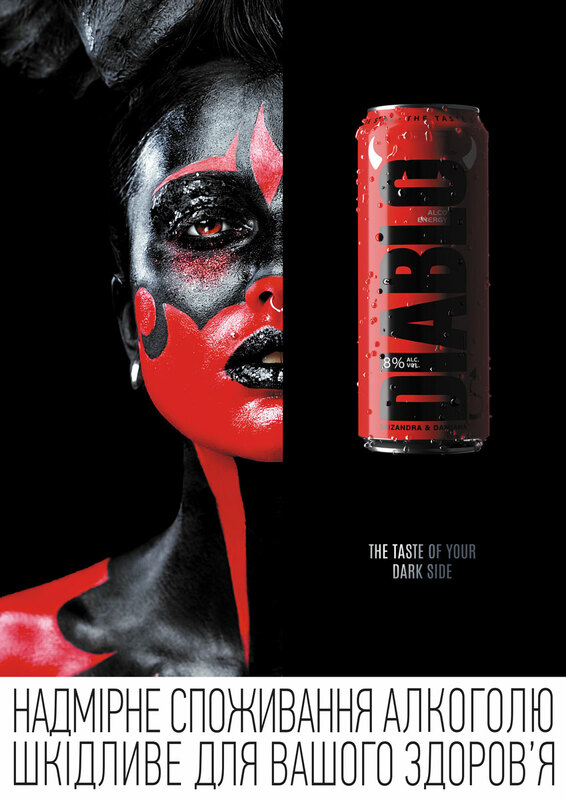 Thanks to the combination of a power surge from an energy drink and a relaxing effect of light alcohol, Diablo™ helps you let your inner demon loose to “fool around”. “We understand that Diablo™ sounds provocative, but that is the essence and the philosophy of the brand. Discovering your dark side is tempting, revealing it to others is bold. The modern consumer is not so easy to surprise and “hook in”. But we are sure that innovative in composition and provocative in form cocktails Diablo™ will quickly find their audience. This is the novelty that will spark interest for sure”, – commented Gennady Dovgan, Marketing Director of New Products Group. DIABLO ALCO ENERGY – an alcoholic energy drink without caffeine, where the main energetic components are the natural extracts of shisandra and damiana. Has a fruit and berry flavour with bright notes of raspberry, cherry and orange. Both SKUs come in 0.5 liter metal cans. A bright and provocative red and black design will undoubtedly make the new drink visible on the store shelves. Diablo™ will appear in Ukrainian retail chains in August 2018.